Teaching science at the elementary school level is harder than you may think. There are many scientific disciplines that prospective teachers must be knowledgeable about in order to effectively educate young minds. That’s why the state of Michigan requires that those wishing to teach elementary school science become certified by passing the MTTC Integrated Science (Elementary) Exam. 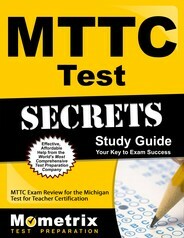 In order to pass the MTTC Integrated Science (Elementary) Test, you need a score of 220 or higher. You will be tasked with answering 100 multiple-choice questions in two hours and 30 minutes (computer-based test) or four hours and 30 minutes (paper-based test). Even though there are distinct subareas, you will be asked to use your knowledge from two or more of these subareas to answer complex problems and explain phenomena. The test will assess your knowledge of various concepts, such as conducting scientific experiments, relationship of science to society, how science, math and technology are related, cell structure and function, functions and organizations of living things, heredity, genetics, evolution, human biology, ecological systems, lithosphere, hydrosphere, atmosphere, astronomy, climate, chemical and physical properties of matter, gas laws, mechanics, electricity, energy, waves and vibrations. Don’t arrive to the testing site without a clue as to what to expect. 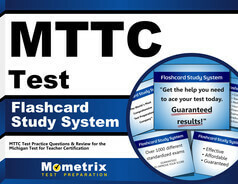 Ease test day anxiety by taking the free MTTC Integrated Science (Elementary) Practice Test. This test simulates the one you’ll be taking on test day, so sit in a quiet area, set your clock and take the test. You’ll gain valuable information about your areas of weakness, which you can use to your advantage when it comes time to study. Need a solid study plan? Consult with the MTTC Integrated Science (Elementary) Test. This handy tool offers study tips and outlines to organize your study time and keep you on task so you study based on the types of questions you can expect to see on the test.